The word ‘school’ has been derived from the Latin word ‘Skhole’ which means ‘leisure’. Basically school is an active and formal agency of education. School is a miniature society .School is an organized institution through which the education is imparted to the learner. In real sense the school is an idealized epitome of social life. School is a place which consensus and promotes culture and civilization prepares children for citizenship. The school aims at the harmonious development of the child. Physical, mental, emotional, social, aesthetic, moral and spiritual all aspects are well looked after by the school through its curricular and co-curricular activities. The school helps in the all-round development of the individual. The higher values of life such as justice, honesty, truth, goodness, beauty are cultivated by the school in its students. In the absence of moral and spiritual values the society would face serious problems. The school tries to develop these higher moral and spiritual values in the children. In the primitive societies family was the basic unit to transmit cultural heritage to younger generations, but when cultural heritage was gathered to an extent that it could no longer be provided by the family, the school was established. The school, therefore has been entrusted with the responsibility of transmission of culture to the younger generation. School transmits the cultural values of the society to the pupils and helps in the enrichment of culture..
Socialization means helping the child to acquire the culture of his social group, or society so that he can learn to adjust socially. The school does this job by providing opportunities for co-operation and competition, both. The school develops a sense of rights and duties of the citizens. In countries where there is much disintegration due to provincialism, linguistic differences, religions etc. the school play a vital role in creating a sense of national unity by Informal Social Interaction . Opportunities for informal social interaction between children of various social groups have provided. The school are able to identity talented persons and give them training for leadership in various walks of life. 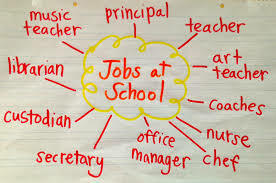 The modern school system prepares the child for getting a vocation or profession after he completes the course. The school has to give vocational training according to the needs of the society and abilities of the individuals. The school helps in post school adjustability by helping the children to grow physically and mentally fit and socially well adjusted. In the words of .The school has a direct responsibility of preparing the individual child for post-school adjustment. To philosophize concerning aims in a social sense, and not just in terms of what the school should do for the individual, is to ask for a rational for the school as an institution. This is not uncommon theme in the literature of educational philosophy. Idealism believes in refined wisdom. It is based on the view that reality is a world within a person’s mind. It believes that truth is in the consistency of ideas and that goodness is an ideal state to strive to attain. Plato in the ‘Republic’ considered, at least speculatively, the possibility of taking children away from the corrupt society which had given them birth and in some separate place by means of an expurgated literature giving mankind a fresh start through a proper education, and also there by building an ideal state. The environment is structured and regimented. There is no emphasis on the social and affective dimension of the learner. Authoritarianism permeates the climate of the school. What institution shall train a child? Is education a public or a family function? These were some of the doubts that were raised during Rousseau’s time. For Rousseau both were important depending on the needs involved. Both systems were designed to t preserve those fundamental virtues which constituted the supreme end of life and the chief good of the state. “They are both cooperating factors in a small state, and through both the common life, habits, and sentiments are communicated to the young. Both unite in developing equality, fraternity, simplicity, liberty, and all the other virtue. Naturalist believed that the parent’s role is very important in the child’s education, one should have schools ( formalized institutions) whose very existence is rooted in nature. The period of infancy of the human species, is greatly prolonged as compare to animals, and thereby demands extended training which the parents usually are not able to provide. Consequently, it is quite “natural” for man to create institutions which will enable him to learn the manifold habits, skills, and knowledge necessary to live a full human life. Pestalozzi and Spencer recognized this and accepted the school as one of the fundamental agencies. Pestalozzi conducted his “natural education” within the setting of the boarding school. Spencer too, placed upon the formalized school the responsibility for educating the “whole child”. He disclaimed the view , accepted at his time, that the school’s primary job consists in nourishing the mind. Spencer’s recommendation that school assume responsibility for health and physical education, vocational and social education, as well intellectual training, seems to indicate that he makes the school the primary educational agency. Furthermore ,Spencer’s religious agnosticism aligns him with the complete secularization of the school , relegating to the Church little or no educative function. The rise of the modern secular school, might be traced in part to the influence of the great naturalists, especially Rousseaue and Spencer. Thus, the realism has brought great effect in various fields of education. The aims, the curriculum, the methods of teaching the outlook towards the child, the teachers, the discipline and the system of education all were given new blood. Realism in education dragged the education from the old traditions, idealism and the high and low tides to the real surface. From this very general philosophical position, the Realist would tend to view the Learner as a sense mechanism, the Teacher as a demonstrator, the Curriculum as the subject matter of the physical world (emphasizing mathematics, science, etc. ), the Teaching Method as mastering facts and information, and the Social Policy of the school as transmitting the settled knowledge of Western civilization. As a result, schools exist to aid children in knowing themselves and their place in society.Students learn what they want and discuss subjects freely. The school should provide an atmosphere where the individuals develop in a healthy way. Any subject in school (even extra activities like athletics, music etc.) can present existential situations for teaching and the development of human beings. The aim of school tasks should be to nurture self-discipline and cultivate self-evaluation. Mass teaching and mass testing is not advocated in schools. The schedule must be flexible and open. Democratic ideals should pervade the school. Democracy must be the soil in which the individual grows. It should be the democracy of unique individuals who value differences and respect one another. Self-government, pupil participation in planning and the encouragement of a free atmosphere characterize the school. Mechanization and impersonality should be counteracted in school. Student’s timetables and work programmers are computerized. And thus the relationships between the individual students and the school programmed become an impersonal one. Besides this, the use of programmed instruction, teaching machines and other equipments tend to decrease the personal contact between teachers and pupils. This impersonality is a hazard to the individual development and growth of the child’s personality. Concern and respect for the individual student should be a feature of the school. Nietzsche’s attack on public education is based upon his conviction that the public schools in his country destroyed individual freedom and responsibility and replaced them with a state-enforced conformity. Since mass education has been initiated by the state or in some instances by the Church, many existentialists feel that both of these organizations have overstepped their bounds. Nietzsche rightly comments “But who will persuade me that today’s (public) school have an absolute right to their existence? … I am not convinced that in itself the school is necessarily a good thing. It is at best a benevolent, well meaning concentration camp. It denies in its actual make up the very emancipation and enfranchisement of youth that it is established to cherish…. Deny, if you can, the dreadful similarity between the mass education of children in a school and the mass production of goods in a factory. ‘”. Certainly, the atheistic existentialist has an additional reason for denying the rights of the Church in educational matters, since he considers the entire theological-administrative structure of the churches as a grand and fraudulent imposition on the individual’s freedom of choice and action. Such misuse of education can only be resisted by the existentialist. The family, too, should not be considered the chief agency of education. The authoritarian structure of families has crushed the individuality of the young. Simply because the parents have provided the biological components of the child, they are not entitled to dictate what the child shall make of himself. Consequently, we are left with only one conclusion: the individual is the sole “agency “of education. The family, Church, and state should provide an atmosphere conducive to the individual’s creation of his own essence. Their only role in the educative process in an auxiliary one – a service role. These agencies should cooperate in “freeing the individual” from the artificial restraints of organized society so that he will be able to choose and act as he wishes. Humanism believes that things are constantly changing. It is based on the view that reality is what you experience. It believes that truth is what works right now and that goodness comes from group decisions. During the medieval period and for many centuries prior to it, the family and church were the primary educational agencies. Public educating passed out of the educational scene with the collapse of the Roman empire. During the Dark Ages education was kept alive only in the monastic schools. At the height of the Renaissance many schools flourished under private auspices, usually that of a scholar.. Also there were many schools in the court of the nobles and aristocracy. The complete break with church-controlled education came with the Reformation. The reformers maintained that education was a state function. Thus, one finds the first completely independent public school system in the Protestant district of Wurtemberg, Germany about the middle of the sixteenth century. 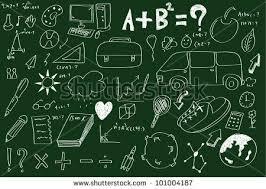 Humanism regarded education as equal to physical procreation as a necessity in making man. He had come across reports of instances in which human infants have been reared by animals and as a result followed a pattern of life closer to that of the animals with which they have lived than to human patterns. They argued therefore that the culture of man had to give form to the human potentialities with which we are born, in order for us to be men. And this is the task of education. This is why they characterized education as “a true forging place of men”. As a result, schools exist to teach reason and God’s will. Students are taught to reason through structured lessons and drills. The ecclesiastical perennialists see the school as concerned wit the secular in education and particularly the training of the intellect. But in addition to this they see a second aim carefully interwoven through the fabric of education. They view education as a moral and religious undertaking. The ecclesiastical perennialists believe that the school cannot separate itself from the study of those things that have come to man through faith and revelation. Thus, the Roman Catholic Church in America has continued to maintain a separate school system so that it might permeates its “secular” teachings with its moral and religious convictions. If we were to sum up the whole educational aim of the ecclesiastical perennialists in one sentence it would be, “Catholic,” and it is at this that the Catholic parochial schools from kindergarten through graduate school aim. Pragmatism sees the school as vitally concerned with and interested in social change since it needs to prepare the adults of the future to deal with the planning necessarily involved in the process called society. John Dewey, has argued that the school exists to provide a special environment for the formative years of human life. Such a special environment is needed in past because civilization is too complex to provide an economic setting for learning. A special environment such as the school can also eliminate the unworthy features of human society as it is. And further the school as special environment can provide a balance of influence which society itself will not give, providing greater breadth from other cultures and avoiding parochialism. With the move from the rural agrarian social structure which existed before the turn of the century, and with the increase in urbanization, transportation, communication and industrialization, over the last 50 years, the need for social planning has increased at an unbelievable rate. With the growth of new problems such the uses of atomic energy, pollution, conservation of natural resources, other space, drugs, increasing crime rates, education of disadvantaged children, others too numerous to list , the school has become the seed-bed for society. Never before argue the pragmatists, has there been such a need for social concern and social planning. Simply let society run rampant down an unplanned path. To do this is court destruction not just for society, but for the world. For school the idea that there are no absolute and unchanging truths offers another dangerous challenge that many feel unable or unwilling to accept. Traditionally the school has been viewed as society’s instrument for the preservation and continuation of our cultural heritage. While the pragmatists would not argue with this, they would carry it a step further. The school and the whole process of education should be an instrument of social change and social improvement. Not only should students be taught (and even here the pragmatists would probably prefer to say “not only should students be helped to learn….”) factual materials, they should deal with social problems. More conservative schoolmen will argue that this is not the function of the school and that if the school and the classroom become instrument of inquiry and of social change, we are moving away from stability and toward anarchy. The analysts have done little work on this aspect of education. There is enough room for some. For example, if the right of the state to conduct schools be asserted, who for this purpose is the state? Do we means bye this the something’s as if we assert the right of the government to conduct schools? Again what determines whether a school is religious minority school? Is clerical control essential, or is the official purpose of the institution definitive? Still again we have not always distinguished between the obligation of church to teach and her obligation to conduct schools and colleges. The first pertains to her essence; the second depends upon circumstances. In some situations, the church could accomplish her educational responsibilities through state schools or perhaps even though some medium which human imagination has not yet conceived. In order to destroy the influence of the family in the education of children, state-sponsored nursery schools were established as rapidly as possible. When a child was three years old he was placed in these nursery schools so that he could be given the “proper start” in his educational career and so that his mother could participate in productive labor and the political life of the nation. These nursery schools assumed the responsibility of the family in providing food, shelter, exercise, and the general physical development of the child. Character development, training of the will, and early intellectual development were given high priority in these preschool years. Habits of cleanliness, respect for his own belongings and for public property are coupled with training in cooperative activities with his fellow pupils. The whole program is designed to make the child a more effective member of the collective. Although it is not possible for all children to be placed in nursery schools and kindergartens, great efforts are expended to enrol as many as possible. Special attention is given to those children who might be turned against the Soviet state by parents who do not sympathize with the revolution. And once the child enrols in the first grade his working hours are largely under the control of the school and communist youth groups. Some countries have centralized control of education. But this control is in the hands of educators. In the Communist countries, the party leaders decree what the schools shall teach it, and how it shall be taught. Centres for educational research exist, but their findings can be applied in the schools only when they are approved by party authorities. The only criterion applied to such research regarding its acceptability is whether or not it serves the needs of the state and is in harmony with Marxist ideology.